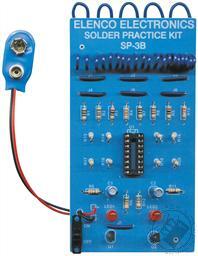 This superb solder practice kit designed to meet the ever-increasing demands on proper soldering procedures. Color-code reading exercises, resistors, capacitors, and inductors. 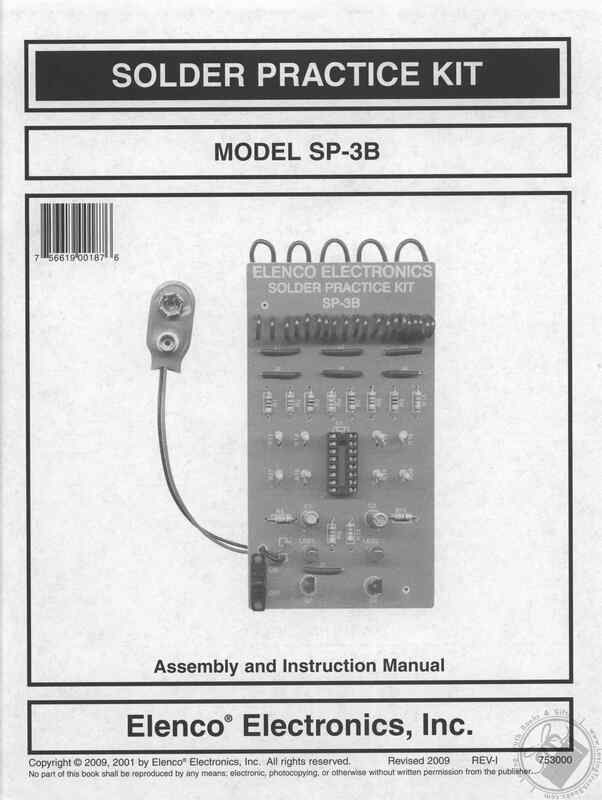 Includes color code calculator (Model CC-100). 163 solder points, standard soldering connections, close-tolerance soldering, and tack soldering. Evaluation exam of performed soldering connections. Written & visual. Complete voltage and resistance analysis of circuit. Desoldering exercise Requires one (1) 9V battery (not included).